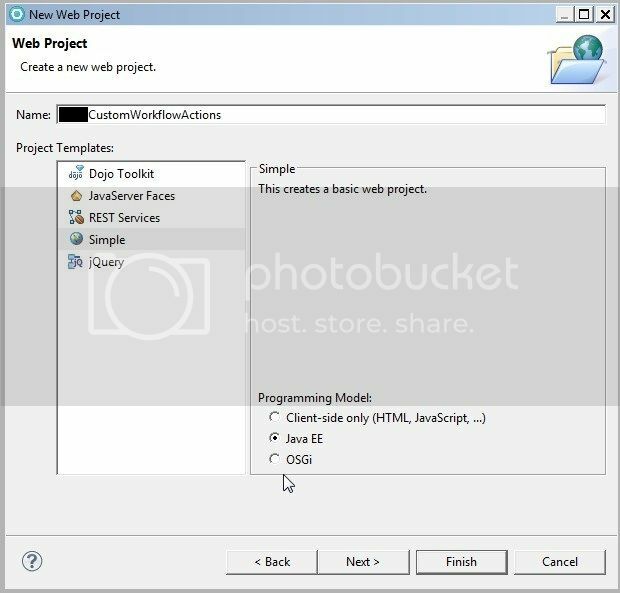 How to Create WebSphere Portal Custom Workflow Action? Disclaimer: This article follows the steps listed in Creating a custom workflow action class and we have replaced WebContentCustomWorkflowService with WcmCustomWorkflowService. At this point, we can’t confirm if WcmCustomWorkflowService is the correct class replacement. 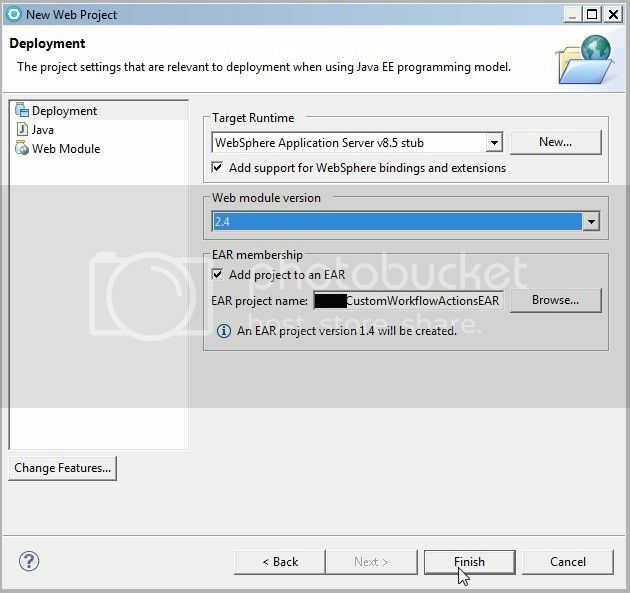 Open your Eclipse or IBM® Rational® Application Developer and make sure Java EE developer tools add-on is installed. Click on File > New > Web Project. Key in your custom workflow project’s name. Select “Simple” as Project Templates and “Java EE” as Programming Model. Under Deployment tab, select “2.4” as Web module version and checked “Add project to an EAR“. Create a java class that implements the interface com.ibm.workplace.wcm.api.custom.CustomWorkflowAction. This class is responsible for executing your codes. Create a custom workflow action factory class that implements the interface com.ibm.workplace.wcm.api.custom.CustomWorkflowActionFactory. This is the controller class, it is use to call the respective custom workflow actions. Create a plugin.xml file if you are deploying using WAR or EAR. Include the plugin.xml file in the application’s “WEB-INF” folder. Follow the Deploying custom plug-in applications to deploy your plugin. 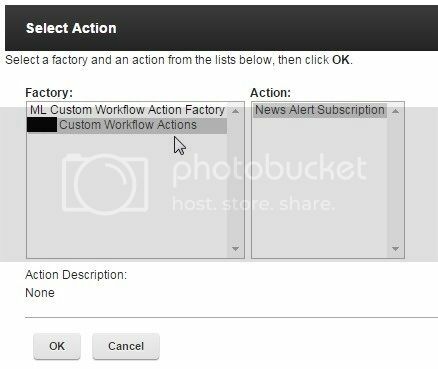 Go to Web Content Authoring portlet and create Custom Workflow Action, you should be able to select your custom workflow action as shown below.